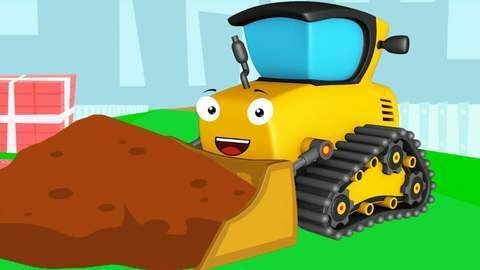 The tired Excavator takes a break from digging a hole but the naughty Bulldozer puts all the dirt back in the hole in this car cartoon for kids. Poor Excavator needs to dig again and when it completes digging, the naughty Bulldozer pushes and buries him in the hole. They start to fight until the Police car breaks up the fight and they make up. Find the best cartoons to entertain kids and to help them learn moral lessons at SeeZisKids.com.